I’ve never seen a clouded leopard in person before. So this was fun for me. 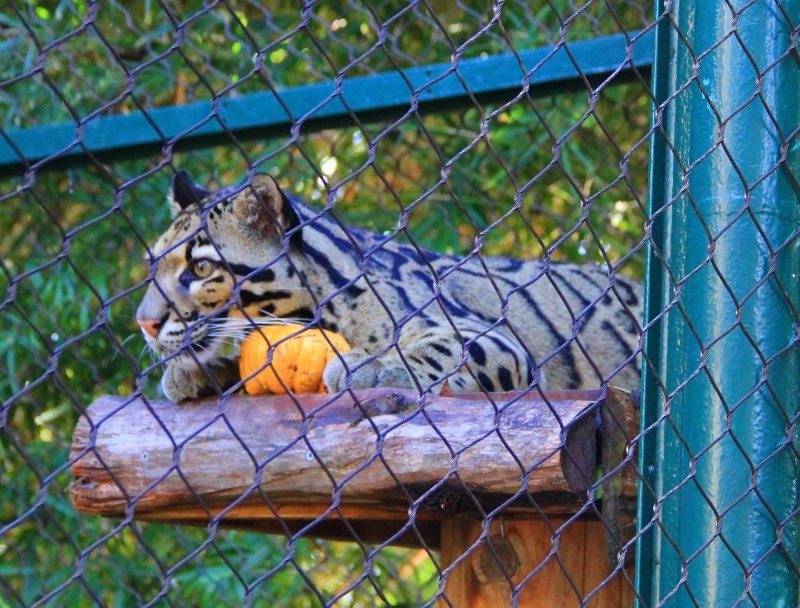 But also, the two they had at the Houston Zoo, both had their own pumpkins. The other cat hid his before I could get a picture of him, pumpkin in mouth, leaping to an upper platform. ← Happy Monday! Home from Houston!